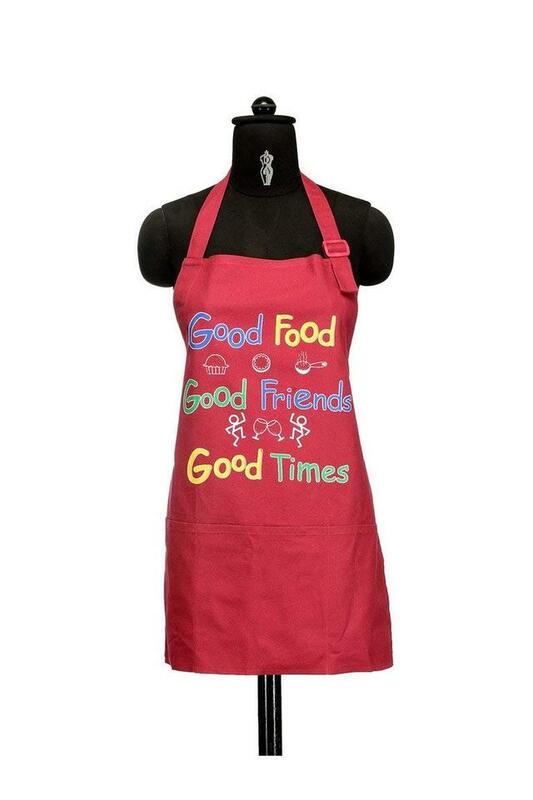 Keep your hands protected while you grab hot foods right off the oven and protect your clothes while you cook by wearing this apron and pair of oven mitts that come in a set of three. It flaunts a print pattern along with a fine combination of colour that accentuates its look. 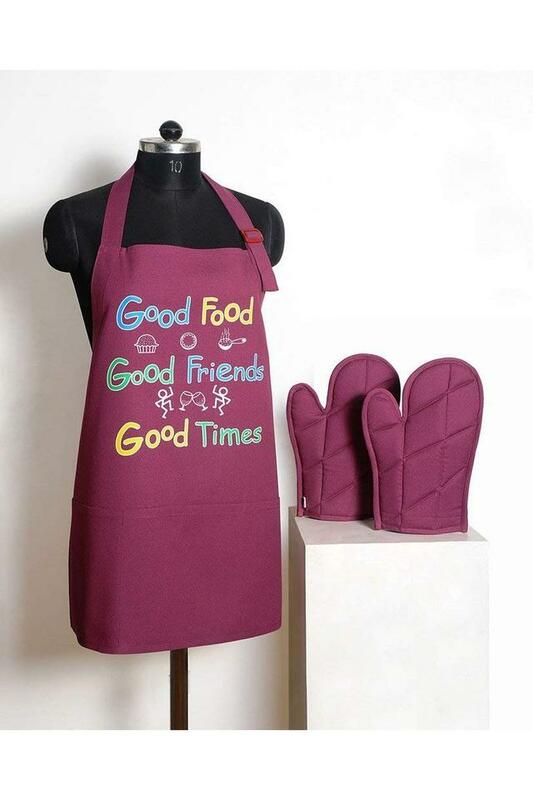 Dimensions: Apron - 91.4 x 55.88 cms, Oven Mitts - 30.4 x 20.32 cms. 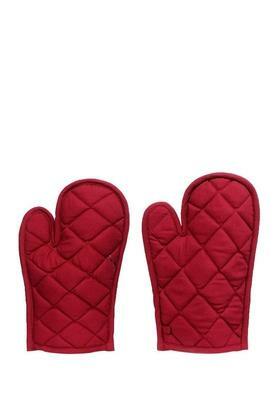 Upgrade your kitchen accessory collection by adding this set of apron and oven mitts from the house of Swayam.